Thanks to my knowledge of good SEO tactics, I'm happy to say that my blog has gotten a lot of exposure from search engines such as Google. I am thrilled at the positive results good SEO has gotten me, because I have been able to provide so many people with our story regarding our construction process for our new Ryan Homes Milan. As you can see I am on the first page of results for a multitude of search phrases which is what I wanted to get broad exposure. As my blog becomes more "seasoned" (or gets older), my search rank will continue to rise. First and foremost, make sure our blog title and description is short and to-the-point. Blogger actually has a "search engine preferences" area where you can set these settings. Make sure you don't leave them blank! Use keywords in both the title and description that you know people are using in their search phrases to find information. Example: "Ryan Homes Milan Construction Experience". However, be concise, don't overdo it! Too many words or using a single word/phrase multiple times will REDUCE your rank thanks to Google SEO penalization. Post often and include LOTS of photos. If you don't update then information can be considered "out-of-date" by Google which will decrease your rank. Also, Google likes photos. Not only that, but your photos will appear in Google's Image Search - which is great because often people want to SEE visuals when they're searching for home construction information. Also make sure to "tag" your pictures. This doesn't mean Facebook tagging. It means Blogger gives you the options to include comments about each photo you upload - make sure you're using this and including descriptive information about your photos. In addition, include good information in your posts that contain information RELEVANT to your blog. Example - If you're doing a home construction blog, talk about your construction process, NOT your new pair of shoes or what your dog did today. Make sure your information is valuable - something that someone is searching Google for. Nobody is searching for your dog, trust me. Yes, sharing a post about SEO on a new home construction blog will probably decrease my own search rank... but it's worth it to help ya'll out! SHARE YOUR BLOG WITH EVERYONE. 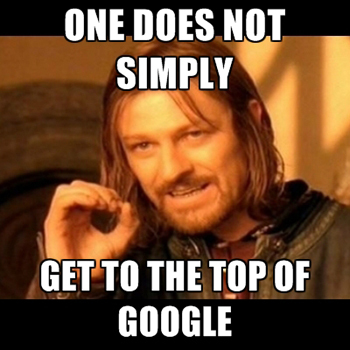 Arguably one of the most important (and most often overlooked) SEO tactics. Blogger makes it easy... every time you publish a new post it should ask you if you would like to share it to your Google circles. First, make sure you add a lot of people to your circles (obviously) and then SHARE. Then after you share, share some more by posting your newly published post URL to Facebook. Especially in any Facebook groups that are relevant to your blog (i.e. New Homes, Home Construction, etc.). What you're doing is basically back-linking (putting your blog out for the world to see). Also, if you know anyone who operates a website, ask them to add a link to your blog to it. The more links to your blog out there, THE BETTER! I hope this helps ya'll to get exposure to your blogs. They're all wonderful and deserve to be put out there for all to see. Especially when it comes to people looking for information on new home construction. Let's get that information out there to those people!